Svelte Protein Shakes tend to be quite smooth and creamy with nice hints of sweetness, so their Cappuccino flavor definitely fits the coffee drink category. And it’s soymilk based, so no added protein is needed! Yes, it is made with organic, non-GMO soy. 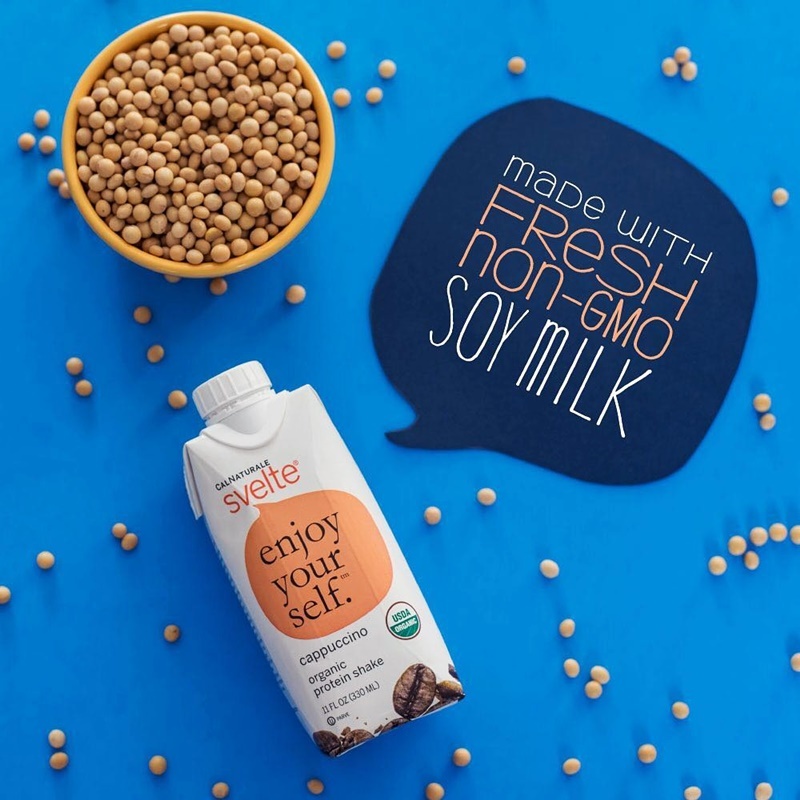 Svelte is shelf-stable and sold at grocers throughout the U.S. and Canada. It’s also available to order online from sites like Amazon.